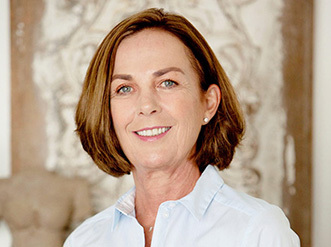 The founder of Else Vistisen Therapy. 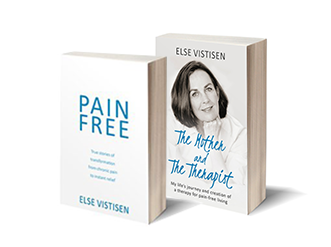 I am an Authorised Occupational Therapist, author and motivational speaker. 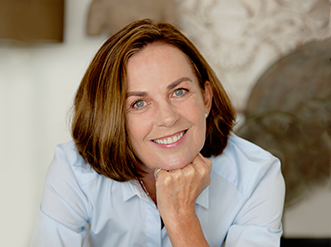 I specialise in providing long-lasting pain relief and have successfully transformed and enhanced the lives and health of thousands of people around the world. My training as an Occupational Therapist (OT), and an Emmett and Bowen Therapist, has given me a unique ability to provide an innovative practice. 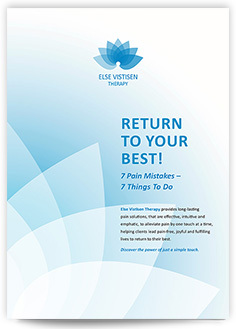 I have built a reputation for my integrity, intuitive and empathic presence, and passion for helping people to return to their best, so that they can enjoy a pain-free, fulfilled life. When my daughter at age 6 weeks was diagnosed with, what was said to be a disease for which there was no cure: one that would leave her to suffer for her whole life. I was determined that would not happen to her, and I am proud to say that today she is a healthy, beautiful and successful young woman of twenty-six. Since that day, I have devoted my life to bringing the joy of a Pain-Free, fulfilling life to thousands of clients worldwide. If you or someone you know are not living a full and active life because of pain, – just make an appointment with me and take the first step with confidence.